And neither does Karl Lagerfeld’s. At a time when fashion had almost turned its back on the so-called cruise collections, the designer spun the ship’s wheel the other direction. As soon as he arrived at the helm in 1983, he breathed new life into this hyphen between two seasons and it has continued to grow, becoming one of the most important moments in the year. Is it just about slipping a few swimsuits and light dresses in-between two suits? Absolutely not! 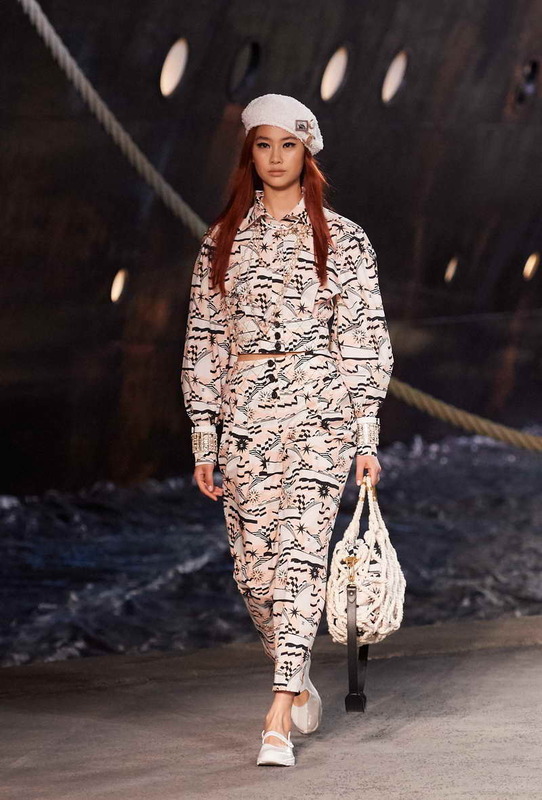 Responding to the needs of those who seek sunshine in the winter was not enough: Karl Lagerfeld thus transformed Cruisewear into a line that anticipates the warmer days to come, a completely renewed wardrobe, never stuck to the previous one or the one to come. A collection in its own right, with its own story, its own identity, its own inspiration, quick to nourish desire and to brighten the gaze. A collection that embodies travelling in all its forms, real or imaginary, temporal or historic, and that he wanted to land all over the world, like a magnificent postcard: New York, Los Angeles, Miami, Venice, Saint-Tropez, the Cap d’Antibes, Singapore, Seoul, Cuba and even Versailles in the XVIII century and Paris, metamorphosed into the epicentre of Ancient Greece. To dream, to let the imagination float away on a reinvented tweed, a diaphanous lace, a colorama imbued with sunshine, sublimate women in a little black dress… Isn’t that ultimately what fashion is all about? Is it not for this reason, among others, that CHANEL, is like no other and will always be CHANEL? It’s almost anchors away, so we wish you a bon voyage and a beautiful Cruise.